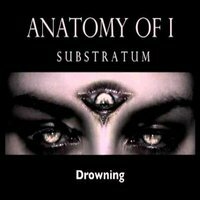 Death metal magicians ANATOMY OF I are pleased to announce the re-release of their 2011 debut album, “Substratum”. The album was released late in may of 2015, the album features unique bonus tracks as well as renewed versions of old fan favorites: “Organic Machine” and “Dimensions”. I managed to listen to the original 2011 release, and while both releases are awesome the 2015 release seems to have better mastering and mixing. ANATOMY OF I is nothing profound or shocking lyrically, it's the typical fun-time death and destruction that we all expect from the death-metal genre. Where ANATOMY OF I really shines is in the skill level of each musician and the flawless execution they produce. It's no surprise either, ANATOMY OF I are no strangers to making killer metal, the band includes Steve DiGiorgio on bass who has appeared in the bands: DEATH, OBITUARY, TESTAMENT, and many more! Joining DiGiorgio is Dirk Verbeuren on drums, former member of ABORTED and POWERMAD, giving ANATOMY OF I a rhythm section to be reckoned with. While guitarist and vocalist Michael Dorrian doesn't boast the same impressive resume of his band-mates his complicated riffs and brutal vocals proves that he has what it takes to make ANATOMY OF I one of the must-listen metal acts out right now. ANATOMY OF I is a unique death-metal experience, the band uses elements of power metal, technical metal and utilize extremely quick, fluid time changes. The bands' particular style and absolutely gorgeous technical ability is best highlighted in tracks like “Fluid River”, “Harvest The Fallen” and “Banished Messiah” . Although the entire album received a slight spit-shine in the audio department it's the two updated tracks: “Organic Machine 2015” and “Dimensions 2015” that really shine. The tracks are updated to make the drums and bass absolutely roar and it sounds like the guitar solos got a little extra complicated as well. I really don't see the need for a band to re-release an album just four years after the initial release, but I'm glad ANATOMY OF I did. While the changes aren't drastic they are able to give the rhythm section the attention they deserve. ANATOMY OF I is packing enough talent that they are one of the top bands to keep an eye on for years to come!